COUCHWARRIORS RANKING BATTLE EVENT: JUNE 8th. ULTRA SF4! Tournaments, casual games, tips and training – CouchWarriors Ranking Battles are a day long fighters festival! We’re celebrating the launch of ULTRA STREET FIGHTER 4 alongside tournaments for a range of other games. Come play or BYO your setup. Twitch archive: Watch the Finals! Big thanks to all the competitors in the New Challengers AE tournament at #bam6. We had a great turnout of 22 players who were not previously active in the community. The top 8 is as follows:, and check out the stick that went to first place with art thanks to Jeffrey “Chamba” Cruz! The last episode filmed from the Queensland major Buttonsmash features Australia’s best King of Fighters XIII player – Colin “Colonov” Tan. A long-time top player in Queensland in multiple games, Colonov had an unbroken streak of KOFXIII titles in local majors for almost eighteen months – until Adelaide’s Falco broke his streak at Buttonsmash. Colin has done so much for the Australian KOF scene and has brought up so many new KOF top players, such as Sam Baxter from Brisbane who got 2nd place in KOF at Buttonsmash. Colin owns the House of Ham, a gamerhouse which is the training and social hub of the Queensland top player circle, and is also a proficient streamer, streaming his show Beyond the Hype and local matches/sets. In this episode we talk about growing the Queensland scene, Colin’s history with KOF and fighting games, the top player mentality, the social side of fighting games, relationship advice and much more. Hope you guys like the episode, and I hope to see you all this weekend at BAM6 in Melbourne! BANDAI NAMCO: BAM6 Sponsor Details! We are proud to announce BANDAI NAMCO is a Sponsor of Battle Arena Melbourne 6! Bandai Namco are behind not just the tournament stalward TEKKEN TAG TOURNAMENT 2, for which players will be deciding the champion on Saturday 10th, but a huge range of awesome games of all genres. We have FIVE packs of great new titles to give away! Many thanks to BANDAI NAMCO for their support of Battle Arena Melbourne! 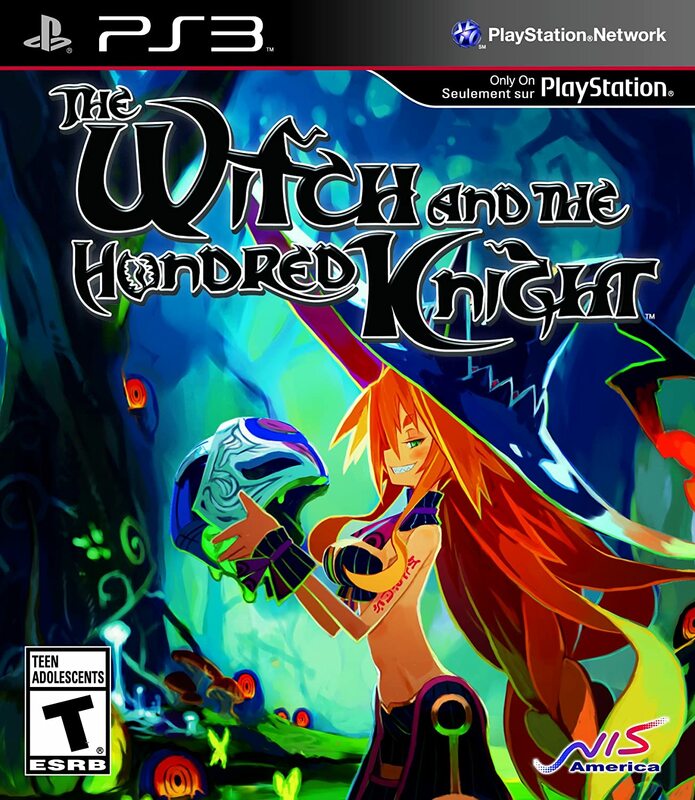 WB GAMES AUSTRALIA: BAM6 Sponsor Details! We are proud to announce that in support of INJUSTICE: GODS AMONG US, the good people at WB GAMES AUSTRALIA are a Sponsor of Battle Arena Melbourne 5! Injustice champions from across Australia will converge to decide on who is the best. The Injustice tournament will take place Saturday 10th. WB have provided a fantastic prize pack for the tournament and attendees, plus both players and stream spectators will be able to get RED SUN DLC codes for free! Many thanks to Injustice: Gods Among Us and WB Games Australia for their support of Battle Arena Melbourne 2014! MADMAN: BAM6 Sponsor Prize Details! 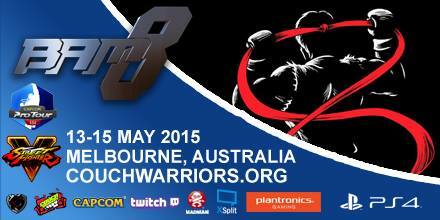 We are proud to announce MADMAN ENTERTAINMENT is a Sponsor of Battle Arena Melbourne 6! Madman are Australia’s leading independent film and DVD distributor with the best and latest in anime, manga, asian cinema and cult films. The huge Madman prize package will be shared across all games and the Cosplay Competition. Many thanks to MADMAN for their support of Battle Arena Melbourne! CouchWarriors and New Game Plus are happy to announce Battle Arena Melbourne’s official cosplay competition! Come down in your best fighting game costume for a chance to win some awesome prizes, thanks to Madman Entertainment, Plantronics Gaming, CouchWarriors and New Game Plus. Simply come along to Battle Arena Melbourne on the Sunday 11th of May! The cosplay parade will begin at 2:30pm, which will be streamed live to thousands of viewers around the world. Your costume will be judged by a panel of cosplay judges with many years of experience between them, and the winner will be announced then and there! Prizes will be awarded to First Place, Runner Up and Audience Favourite. Please arrive at least 30 minutes beforehand. There are bathrooms at the venue that can be used as change rooms. Must be a character from a fighting game. This includes games not played at Battle Arena Melbourne. Can be a hand-made, assembled or bought costume. As long as you rock it! No real weapons, please. Only wooden or plastic weapons allowed. The fourth episode filmed at the Queensland major Buttonsmash is a double special featuring Adric “Falco” Middleton from South Australia and Sam “The Ham” Baxter from Queensland. Both of them are young and relatively new to the scene, but are widely considered to be two of the best players in Australia. Falco is known for his amazing Zangief in Street Fighter IV and for winning tournaments without even owning the game on console! He has taken his multi-game ability to another level by winning the KOFXIII tournament at Buttonsmash, breaking Colonov’s long and uninterrupted streak of Australian KOF titles. Sam Baxter is only 19 years old, and is already an international-class Ultimate Marvel vs. Capcom 3 player, claiming fourth place at SEAM2013 in Singapore as well as multiple top 3 placings in Australia. In this episode the duo go on to talk about their love for fighting games, community and competition, their local scenes and how new and hungry players can get on their level. Hope you guys enjoy this episode!